Ana Carrasco became the first woman to win a World Championship motorbike race with a superb victory in Portugal. The 20-year-old Spaniard edged home by 0.053secs to win round 10 of the FIM Supersport 300 World Championship. Italy's Alfonso Coppola finished second to go top of the standings, overtaking Marc Garcia, who was third at the Autodromo Internacional do Algarve. 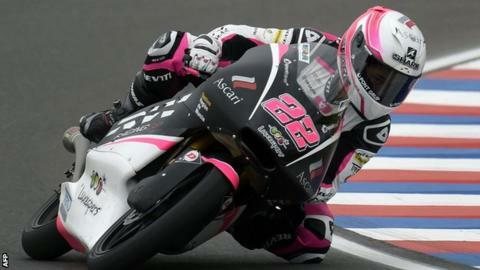 Aged 16, Carrasco was the first female rider for more than a decade to score a World Championship point in 2013.